Behind every love story, there is always a twisted version. The minute I received these candid photos from Joey, I decided to publish them into a beautiful movie storyboard. I thought of an uncanny tale of a “38-year-old golden virgin” and “Sinderella” plus “hangover”. Surely it is one epic love story – as twisted as Twilight. Your hearts & show must go on. 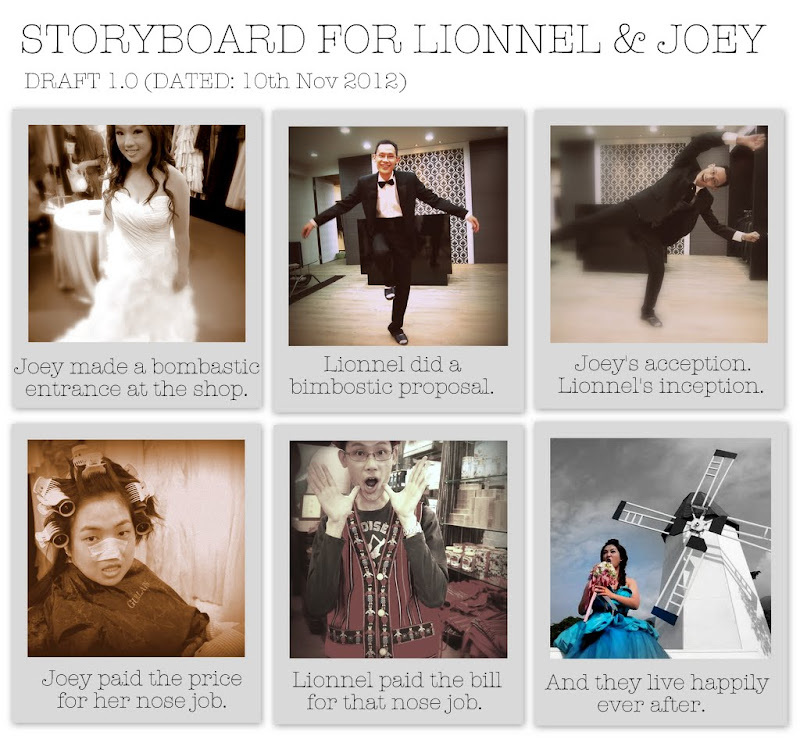 I bet Lionnel and Joey are speechless right now (after seeing this stunning post on my blog! ).